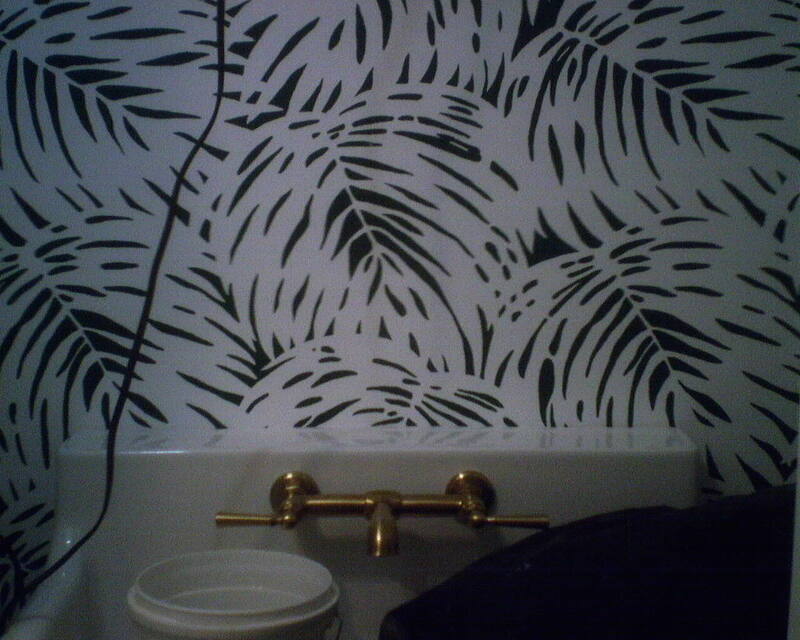 This palm leaf wallpaper adds a lot of personality to the powder room, yet is understated and easy to live with. 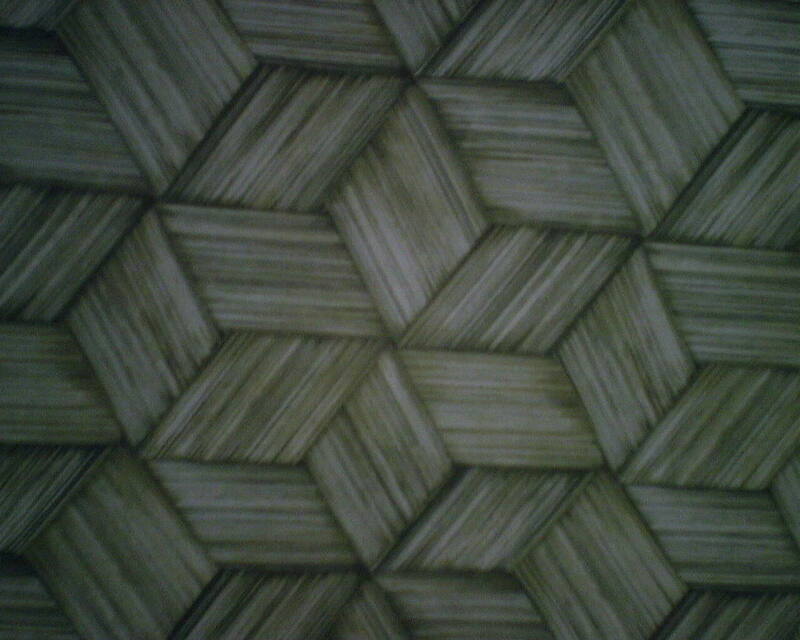 With only two colors and a fairly homogeneous pattern, it feels more like a texture than a pattern. 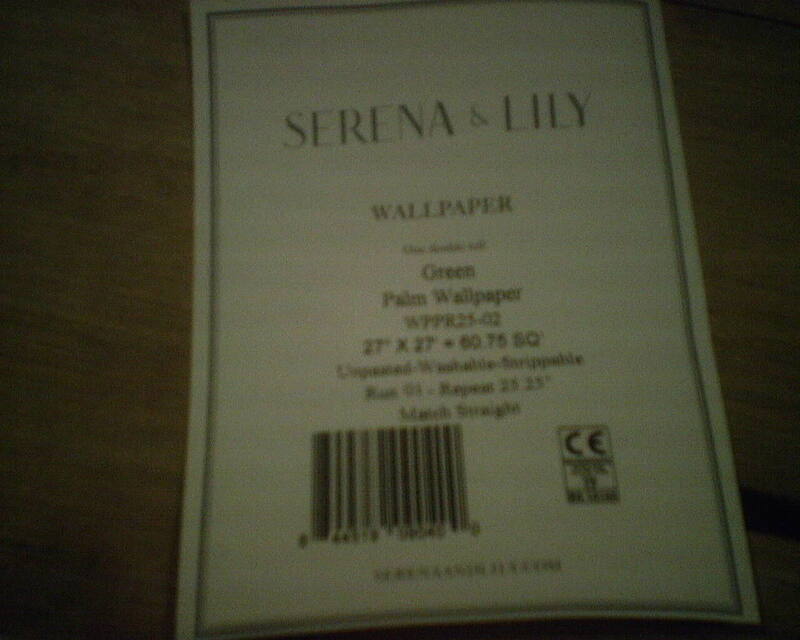 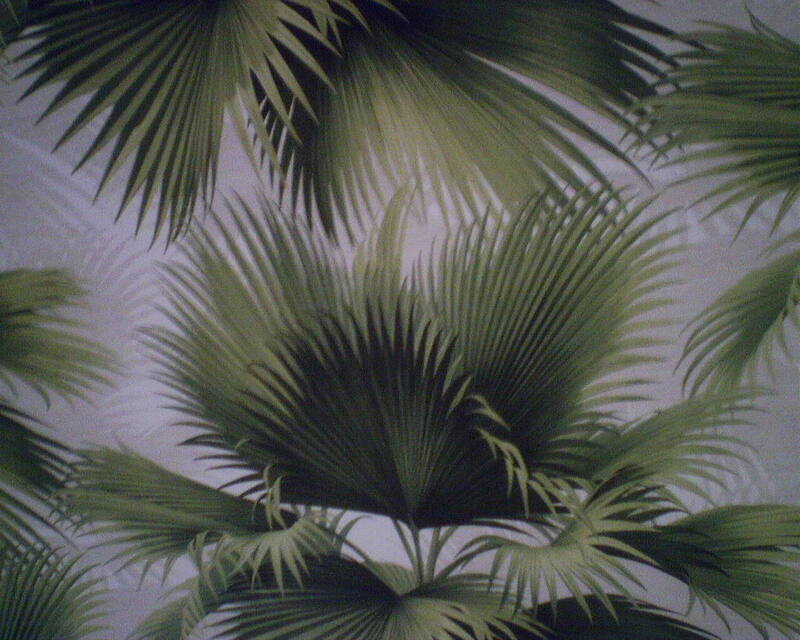 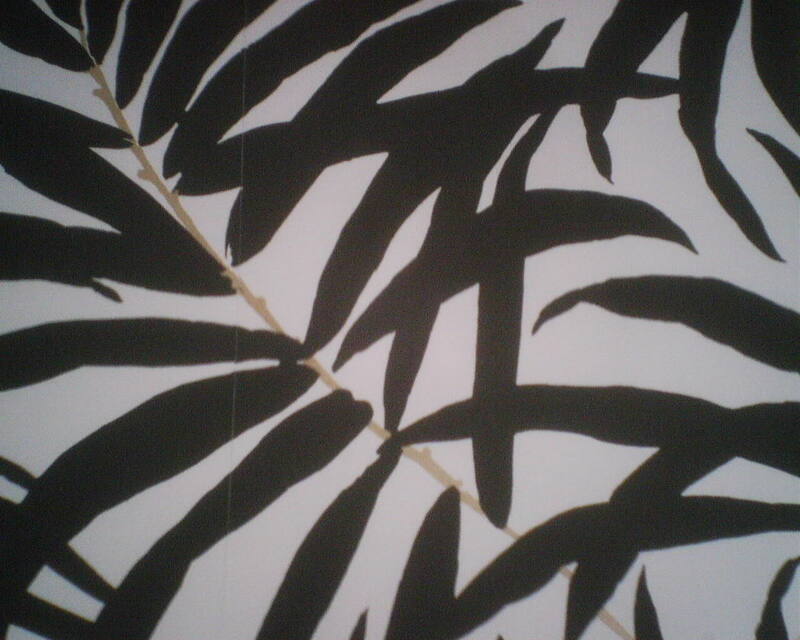 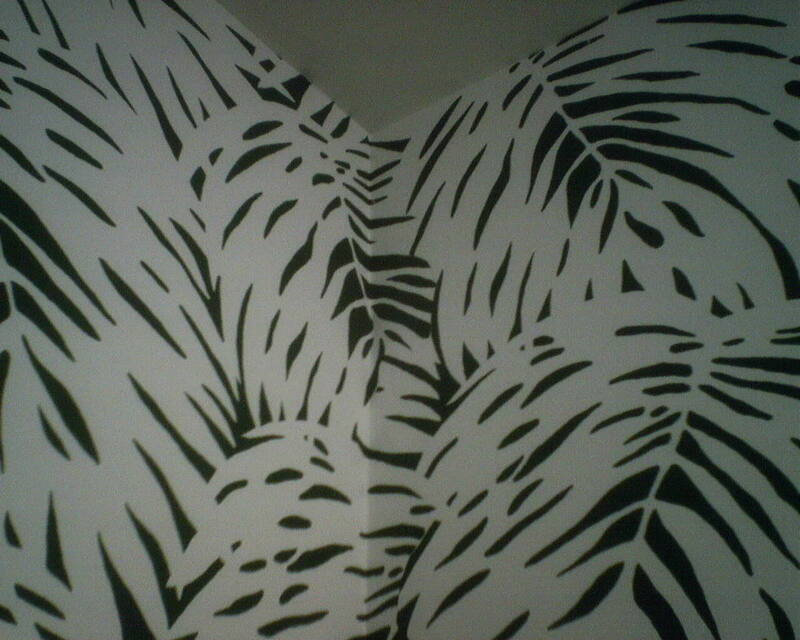 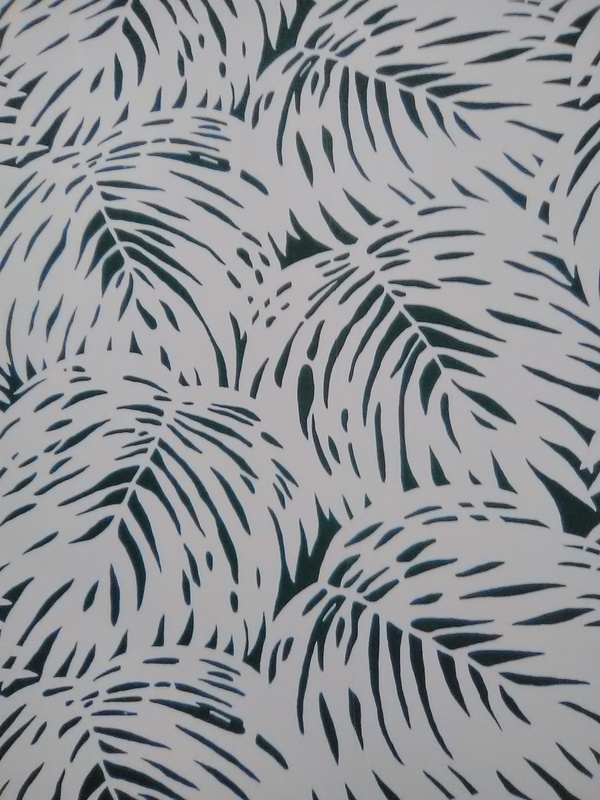 This attractive foliage wallpaper pattern is by Serena & Lily, and is called, simply, palm. 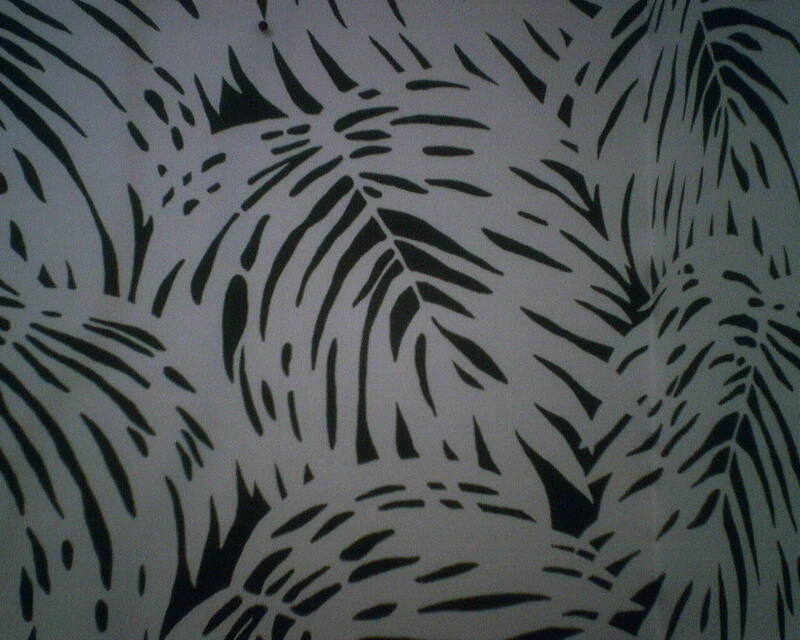 The paper was nice to work with, and will stay nice and flat to the walls for decades to come. 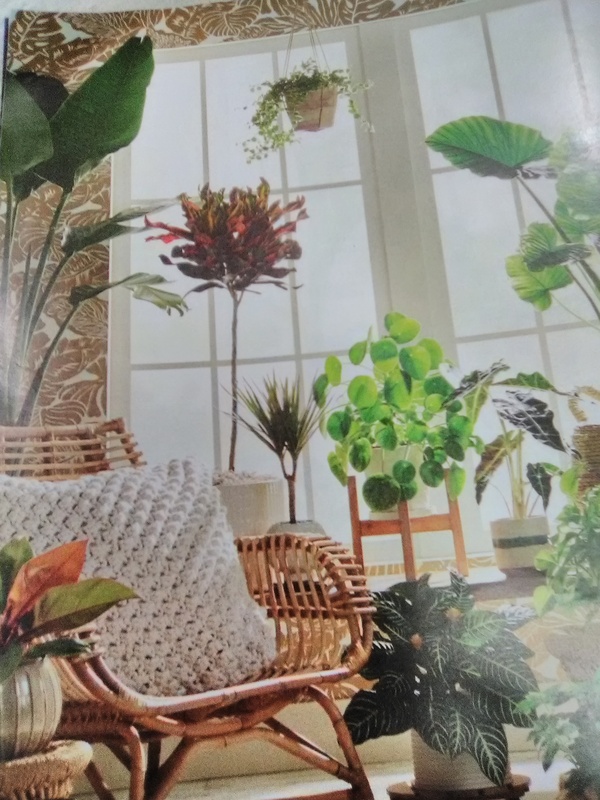 The house is in West University Place (Houston). 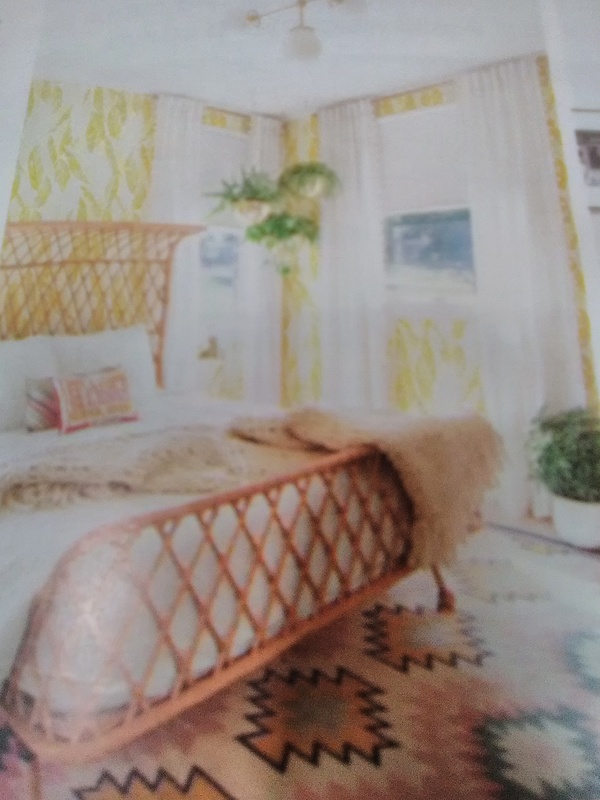 The lady of the house (a “tall skinny house” in the Houston Heights neighborhood), has a super eye for decorating, and the first floor looks like it was decorated by a highly-trained professional interior designer – but it is all the work of the homeowner. 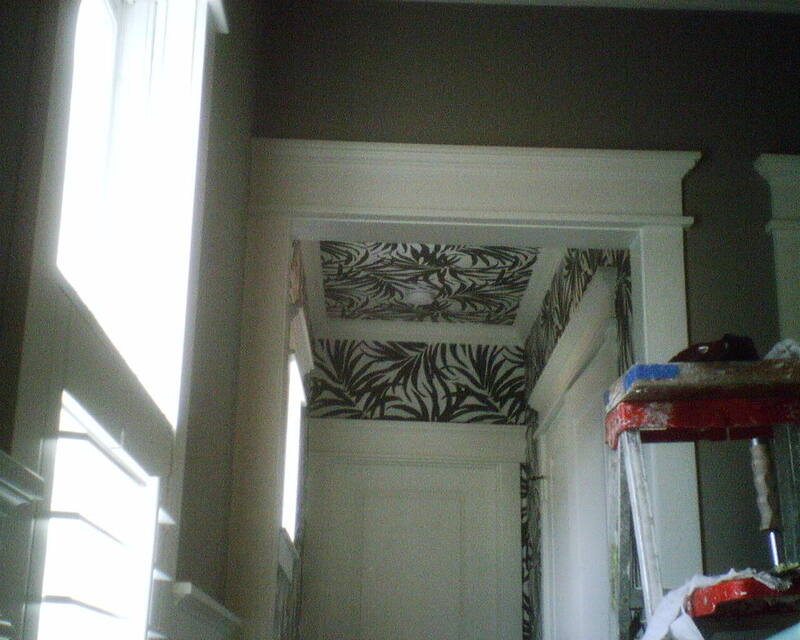 But she thought that coming up the stairs to the second floor, the upstairs just looked boring. 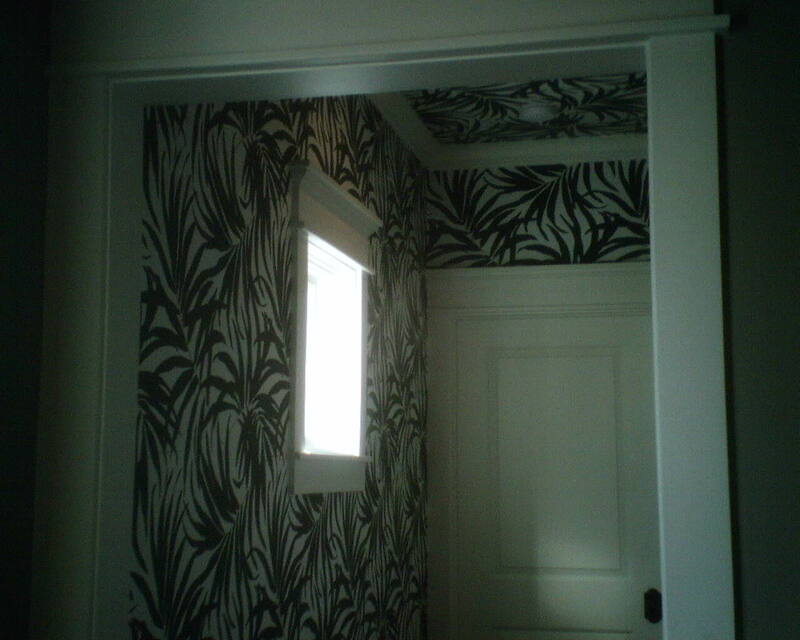 This short hallway is what you see as you walk up the stairs. 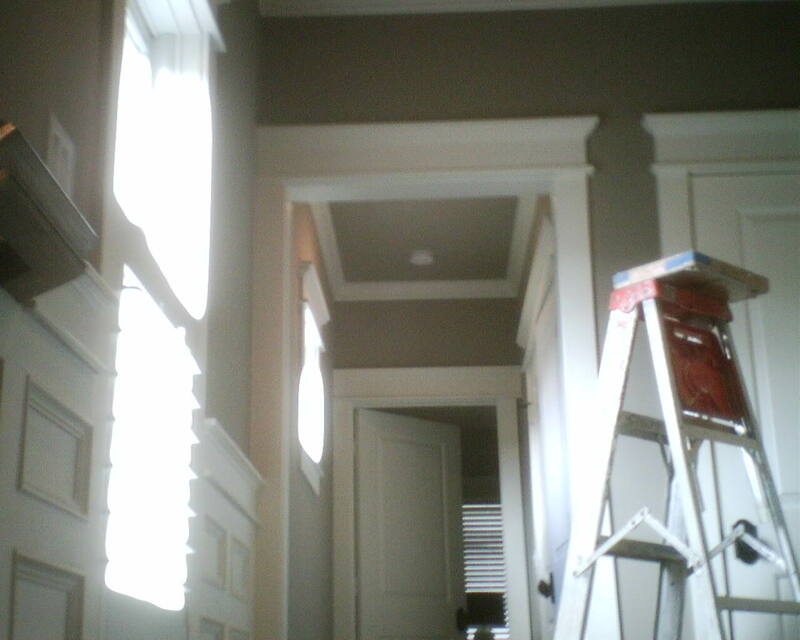 With the beautiful woodwork and paint, it’s attractive, but it is boring. 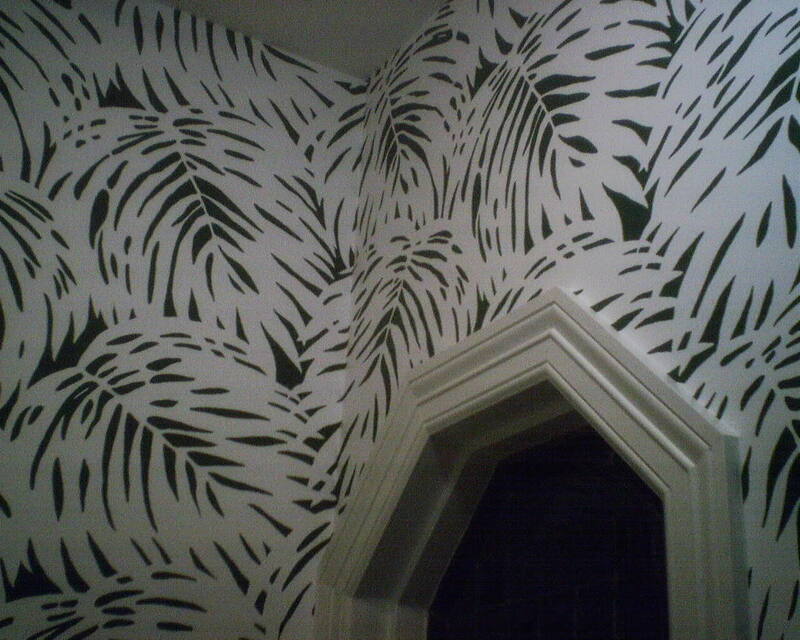 The homeowner found this fun palm-frond pattern via Anthropologie, and knew it would be perfect for this space. 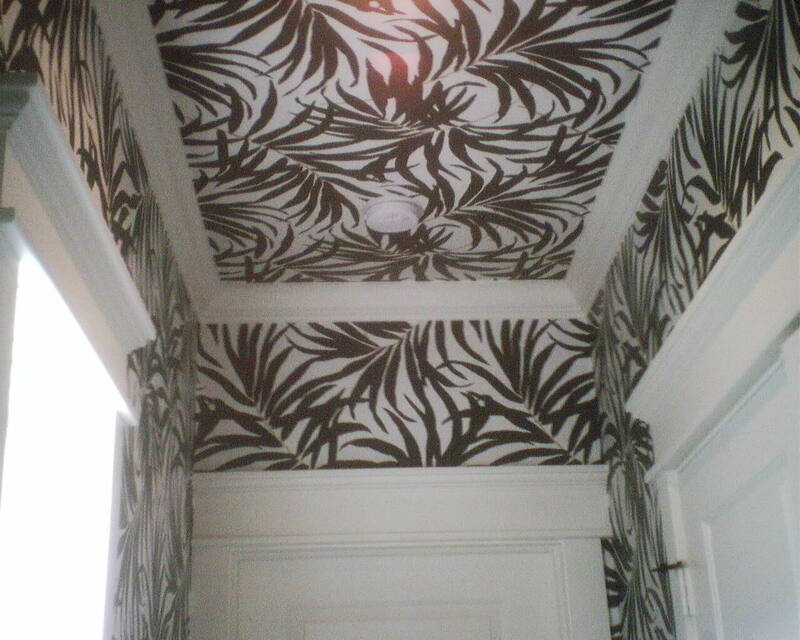 She mentioned putting it on the ceiling, too, and I tried to talk her out of it, because I think that wallpaper on the ceiling crunches the ceiling down and makes the space claustrophobic. 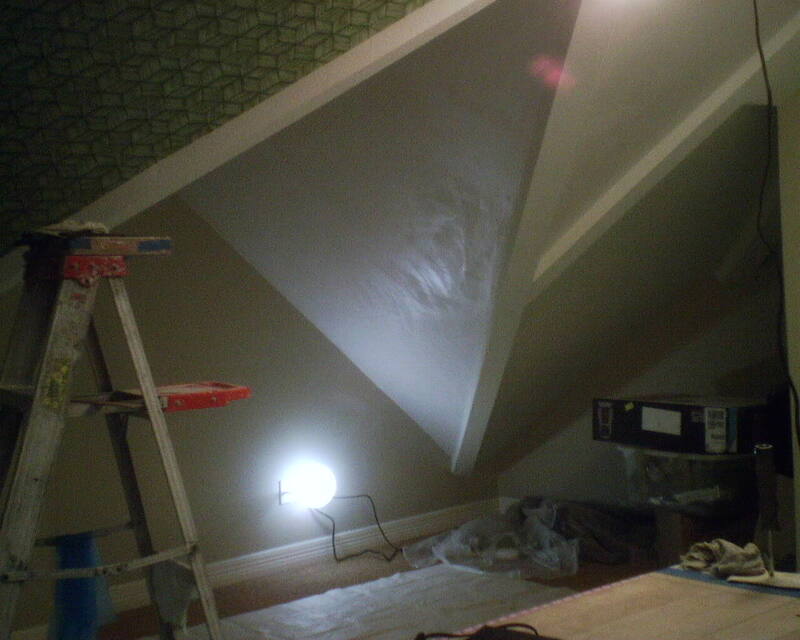 I also had not included the ceiling when I measured the room, so I didn’t think we would have enough paper to cover that additional surface. 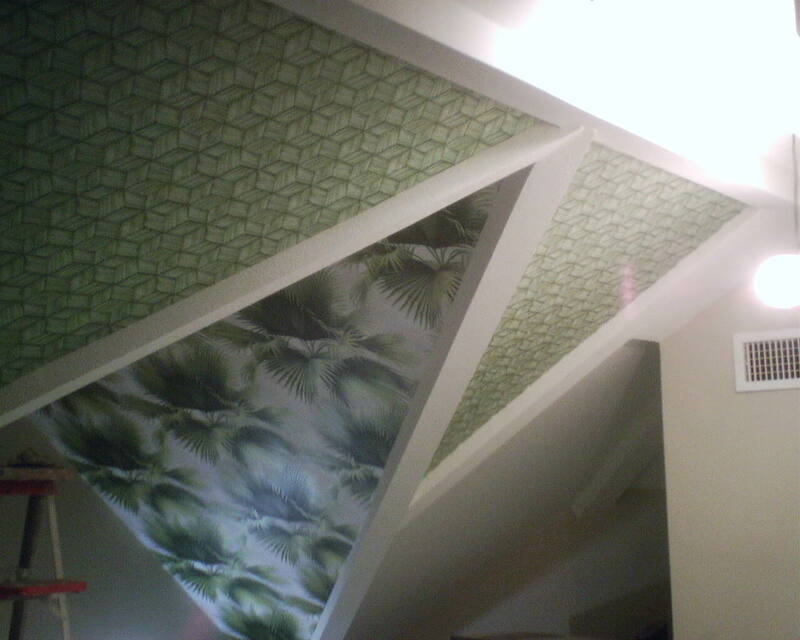 But I could tell that she really wanted the paper on the ceiling, so I did some plotting and measuring and engineering, and managed to cover the ceiling and the walls with the paper that we had. 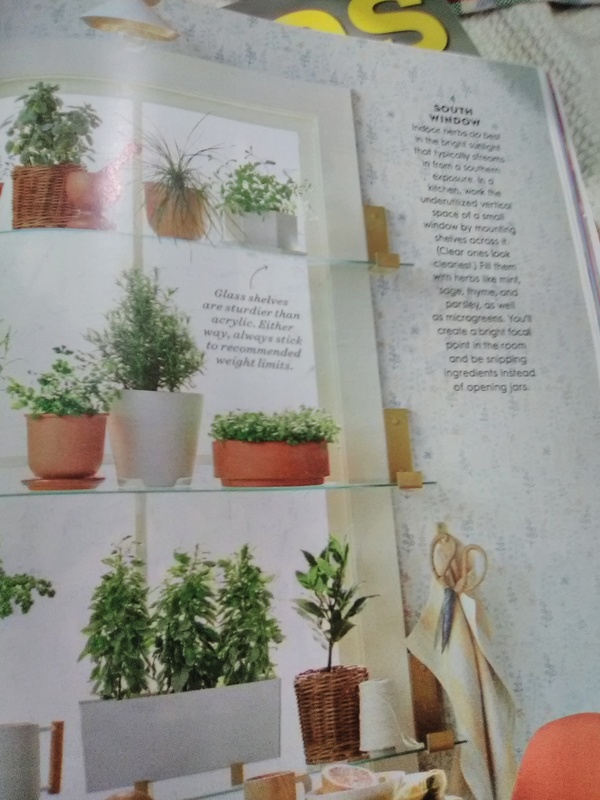 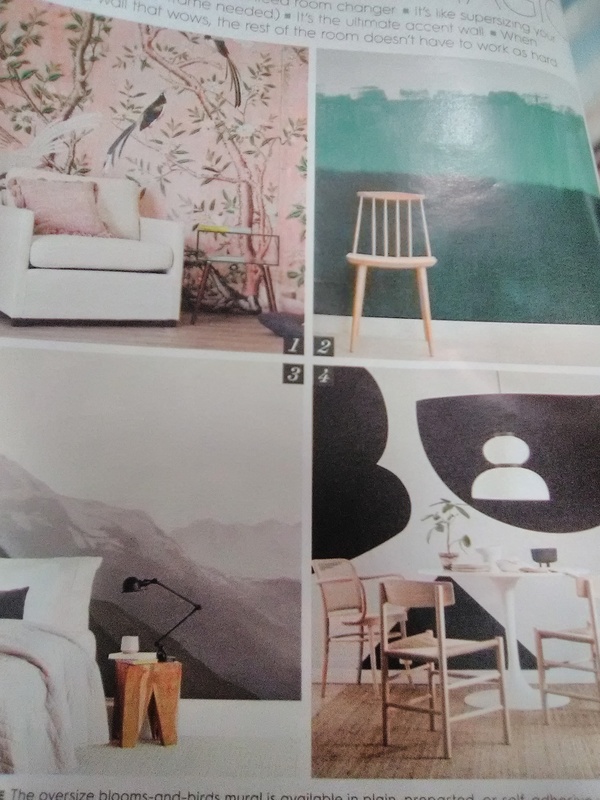 Once it was up, and when I stood on the stairs and looked forward, I have to admit – the gal’s decorating sense was spot-on – papering the ceiling was the perfect treatment! 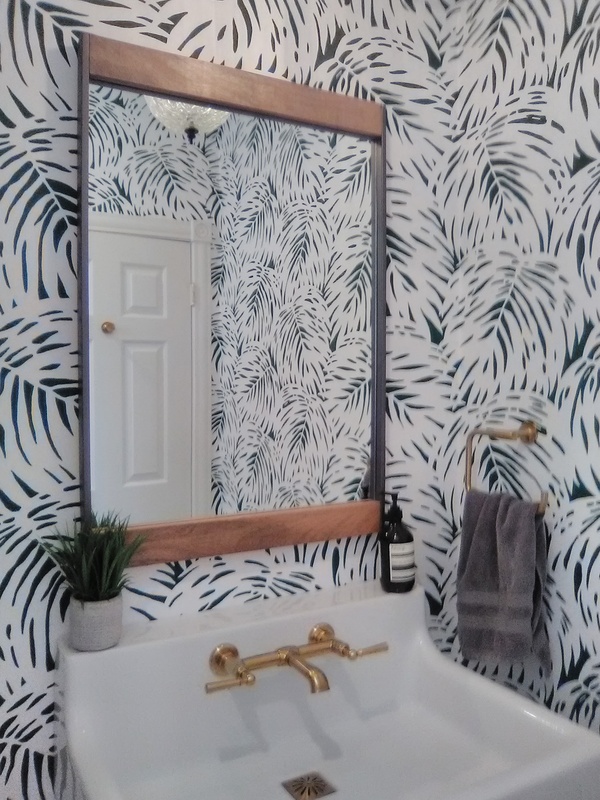 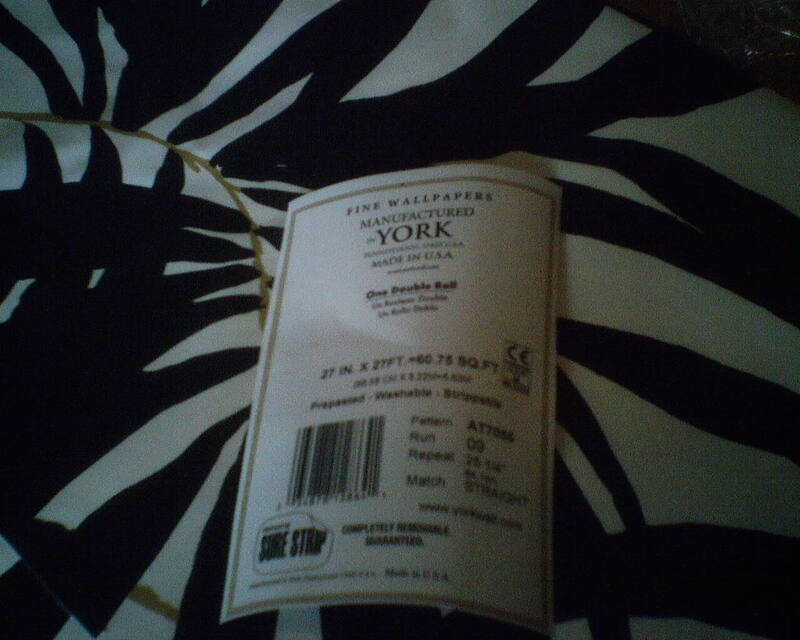 This wallpaper is pre-pasted, and is in the Sure-Strip line (which I really like) by York Wallcoverings, and was purchased through Anthropologie.